We’ve been fans of ABC’s Once Upon a Time (OUAT) since the very beginning, the first season in 2011. Watching Once Upon a Time has become our Sunday night family tradition often rushing back from weekend outings to catch the television. It isn’t too much of a surprise since we’ve been watching from the beginning that I was interested in Emmy-nominated costume designer Eduardo Castro’s stunning and creative fairytale costumes. In 2012, I created two pages filled with costume ideas for the Oned Upon a Time characters. 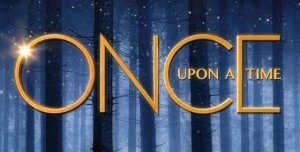 The pages (now on HubPages) include costume breakdowns for characters from both worlds, one for the original Fairytale Characters and the other for the Storybrooke Characters. With the increased popularity of the Once Upon a Time show plus the increased interest in Halloween and cosplay costumes based on the Once Upon a Time Characters (especially the fairytale-inspired ones) and the launch of the Costume Detective site it is time to revise, update, improve and add to the original costume breakdown ideas. The costume breakdowns are moving from collections on a single page into individual OUAT character pages as we expanded upon our Once Upon a Time Costume Ideas collection here. Look for index of our OUAT Character Costumes at Once Upon a Time Costume Collection. To see part of the reason why I am so inspired by the gorgeous, detailed fantasy costumes of Once Upon a Time watch at the video tour of the OUAT costume studio by costume designer Eduardo Castro. Tour the Once Upon a Time costume studio and some of the many costumes in this behind the scenes look at the costume from ABC’s Once Upon a Time with with Emmy-nominated costume designer Eduardo Castro. The Touring the Once Upon a Time Costume Department video clip gives viewers an idea about just how much time, energy, effort, $$ and love of the craft goes into making the Emmy-nominated costumes from Once Upon a Time. Just look at the embroidery detailing on Elsa’s coronation gown. It is no wonder that many amateur and aspiring costume designers would want to work here. Viewers also get a look at some of Eduardo Castro’s favorite costumes and a peek at some of the upcoming costumes for Season 4 inspired by Frozen and Beauty and the Beast. 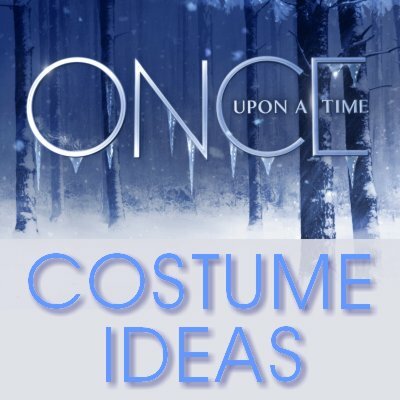 To share our ideas and inspiration for making your own OUAT costumes and to collect ideas from others we’ve started a new board on Pinterest, the Once Upon a Time Costume Ideas – OUAT Costumes. This board includes many of the different character costumes from Fairytale town and from Storybrooke. It will also help track the progress in getting the costume breakdowns published. In addition to the OUAT board our DIY Detective Pinterest account has DIY Disney Frozen Elsa Costume Ideas and DIY Disney Frozen Anna Costume Ideas which are also good resources for the OUAT-Frozen fans; there appears to be quite a bit of overlapping with the OUAT Frozen character costumes and the Disney Frozen character costumes. 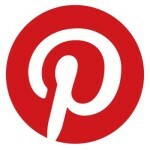 Follow the Costume Detective on Facebook and Pinterest (as the DIYdetective).